The rise of cremations is leaving many cemeteries and churches scrambling for alternatives to traditional in-ground burials. One option to service those being cremated is a columbarium. Since most people have not heard of columbariums, it’s time to ask the experts. 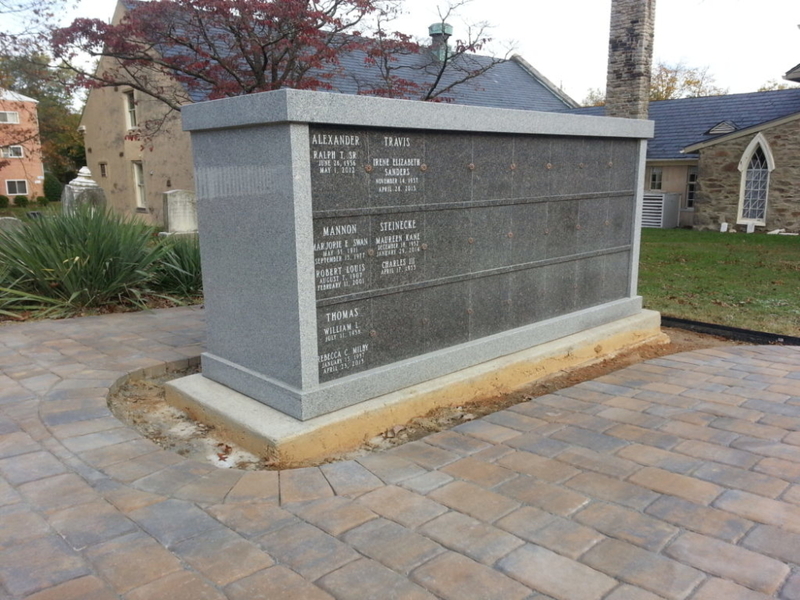 As one of the best columbarium builders in Maryland, Tegeler Monument is available to answer any and all of the questions you may have. 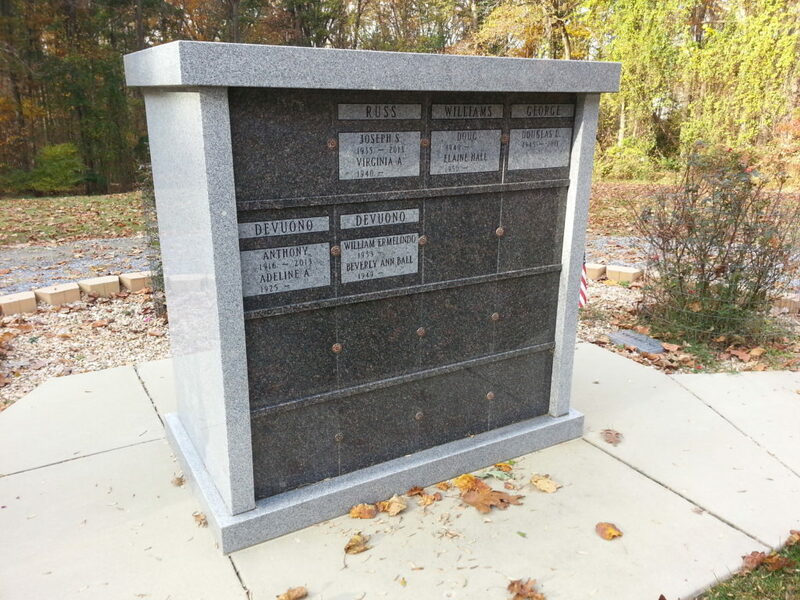 If you are a church or cemetery looking to build a public or private columbarium on your grounds, or if you are an individual interested in a columbarium for a loved one or your entire family, consider Tegeler Monuments as your builder. Keep reading to find out why someone would want their remains stored in a columbarium and what the different design options are for a Tegeler-built columbarium. Columbariums vary greatly in size. 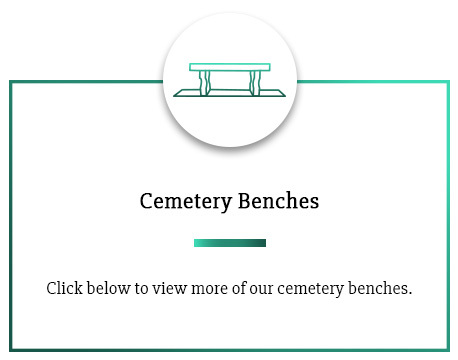 Some are built to hold just a few remains (perfect for a private family columbarium) while others hold upwards of hundreds of urns (ideal for larger, public cemeteries). Each person has their own niche in the columbarium. Each urn will be placed in the cut-out section of the wall with a permanent plate that will completely seal the urn in the niche. This covering is almost like the headstone for an in-ground burial plot. These columbarium plaques contain the name of the deceased, date of death and any other personalization and decoration that their loved ones would like. 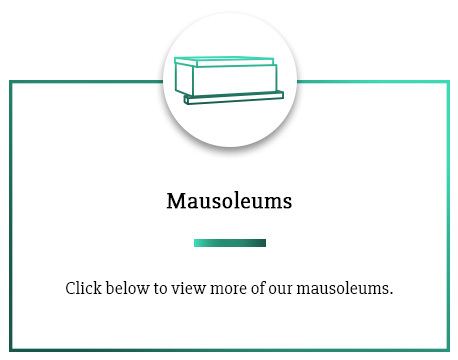 Columbariums are similar to mausoleums, but mausoleums hold caskets rather than urns like a columbarium. Mausoleums are also a very popular alternative to the traditional in-ground burial. Are Columbariums a good investment for a cemetery? With the rise in cremations over the last decades, churches and cemeteries are looking for ways to provide a special place for cremated remains to be interred. As cremations are taking over burials as the preferred method of interment, columbariums are a wonderful asset to your church or cemetery. A columbarium built with an attractive design and elegant decorations can be special place for loved ones to visit and adds aesthetic beauty to your space. Are Columbariums for public or private use? Columbariums can be both public and private. Public columbariums are generally constructed by a church or cemetery in order to give its plot owner more flexibility in how their remains are stored. Public columbariums are usually designed to be large enough to hold anywhere a few people to a few thousand people. Each niche is equipped with its own plaque to identify the deceased. 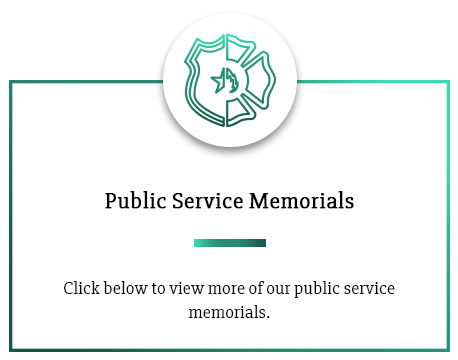 They are usually easily accessible since members of the families will want to be able to pay their respects. Private columbariums, however, are often built at the request of the family and generally house an entire family or group. Most of the time, these private columbariums are only accessible to family members, friends, plot owners, and cemetery staff. They are also private as only members of the family can be laid to rest in them. Columbariums come in many shapes and sizes. Each one is built with precision and is engineered to stand the test of time. 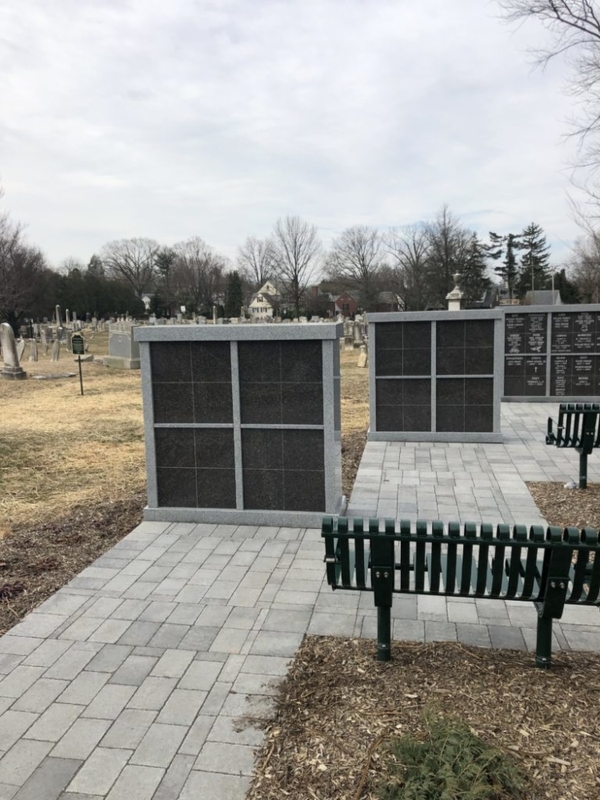 When it comes to columbarium design, there are an endless number of options, and Tegeler Monument can create the custom structure that will be sure to fit your vision. Since columbariums are long-term investments, it is important to choose the right materials to make sure they last through the centuries. That’s why they are mostly made from granite or marble. While marble may be a popular choice, granite is employed for most columbariums today due to its durability and ability to retain luster. 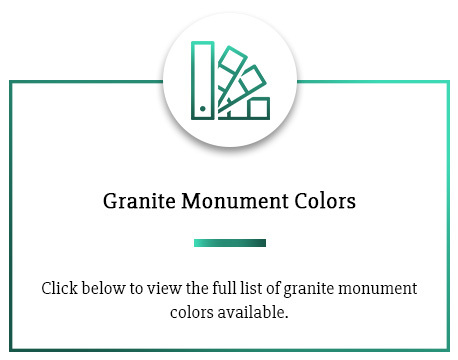 Tegeler Monument specializes in working granite and marble while also creating custom designed columbariums of any shape, size, or material. 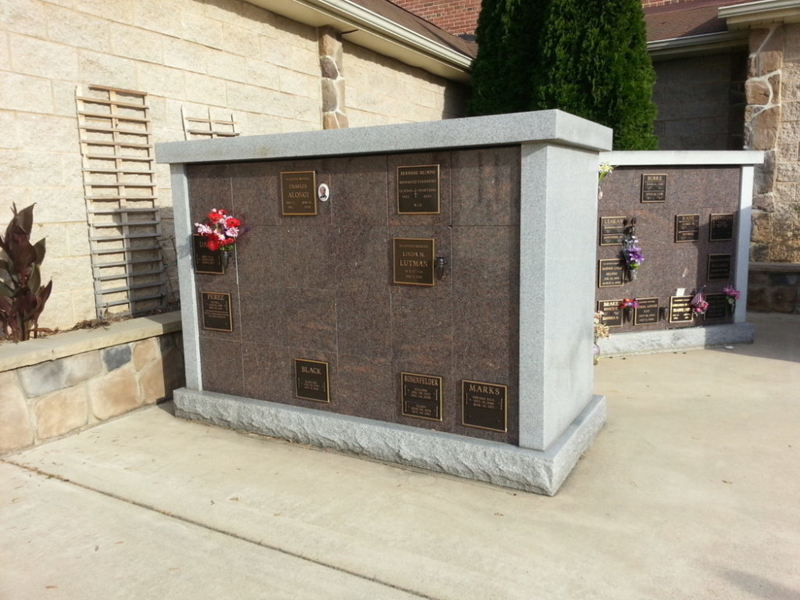 There are countless options when it comes to the decoration and design of your columbarium plaque. Tegeler Monument will construct and install the structure if cemetery regulations permit. However, Tegeler Monument does not control the placing of the urns, but we can make suggestions regarding sizing and placement. The funeral home will handle the preparation, cremation, and interment of the remains within a columbarium. Do you want to learn more about custom made Columbariums?